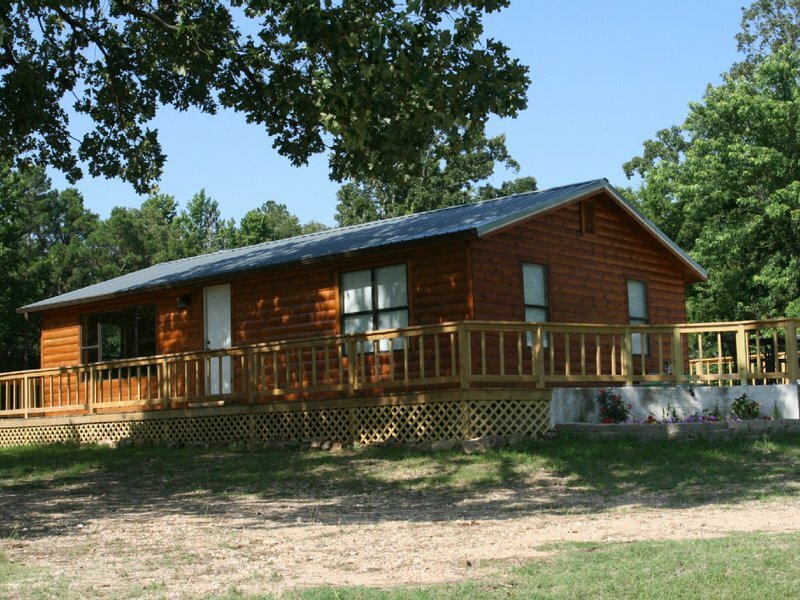 The Firefly Ranch in Broken Bow features a charming cabin conveniently located just a few miles from Beavers Bend State Park in beautiful southeastern Oklahoma. You’ll feel right at home in this spacious two bedroom house that sleeps four to six people. 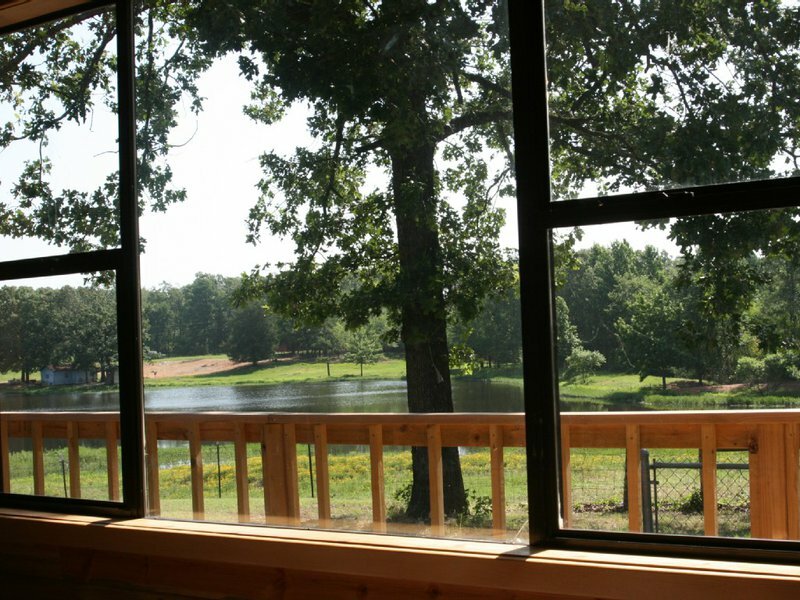 The living room has a wonderful view of a private lake that is a perfect fishing spot. Each bedroom has a queen size bed and there is additional sleeping space on the sectional sleeper sofa. 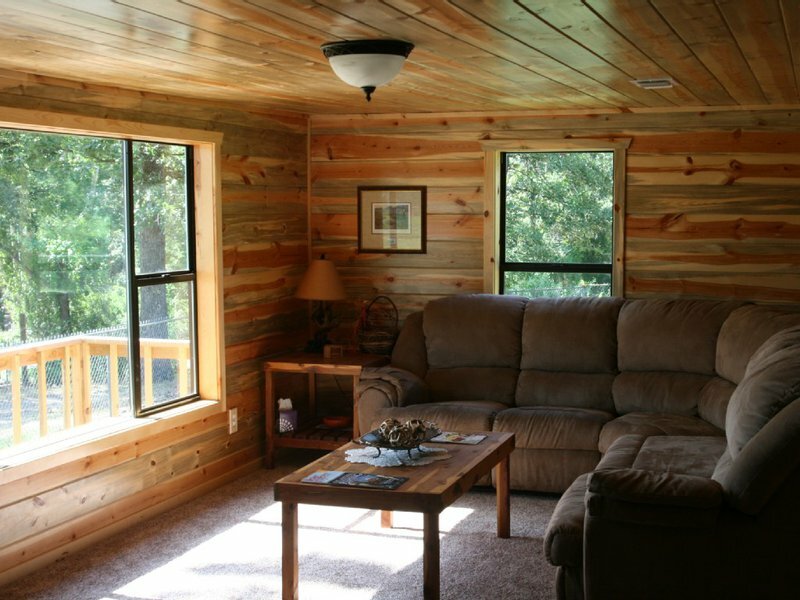 There is plenty to do while staying at this cabin. Watch the sun go down while sitting on the deck and enjoying a cold glass of tea in the summer, or snuggle up in the living room and watch a movie on the flat screen TV when it’s cold outside. 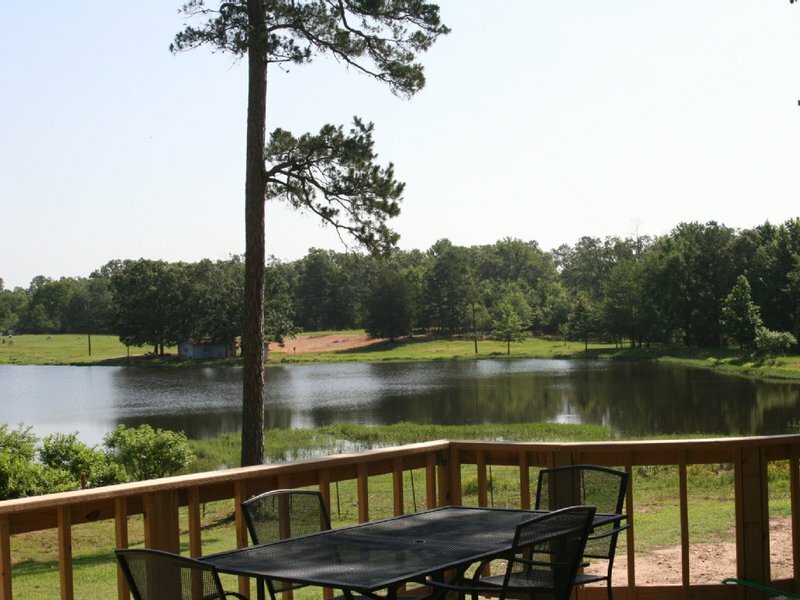 Relax at this lake retreat and enjoy grilling on the deck or cooking gourmet meals in the fully equipped kitchen. You’ll find a state-of-the-art stove, refrigerator and oven as well as a toaster, microwave and coffee maker. There is a dining table with seating for six. Linens are provided for the bedrooms, kitchen and bathroom. There is also an iron and ironing board for your use. You may even see ducks, zebus, llamas and horses roaming around the forty acres of property the cabin sits on. 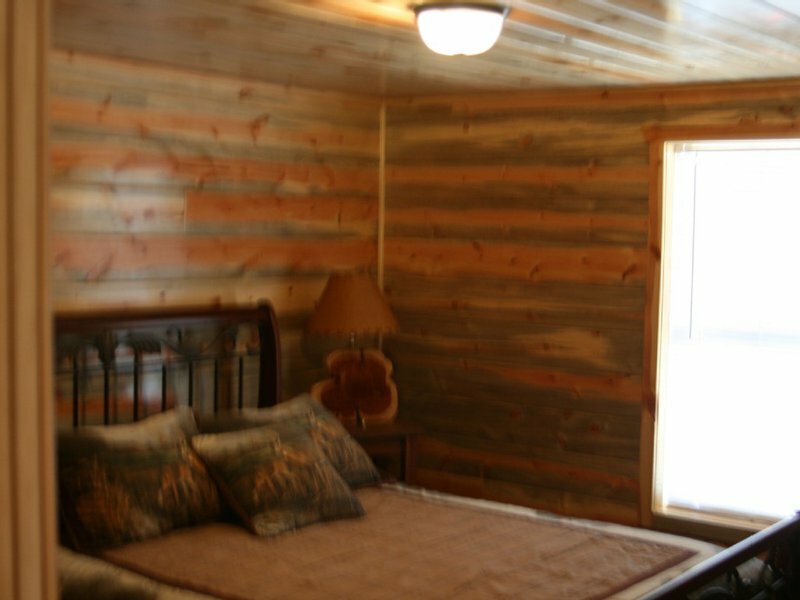 Just thirteen miles from Beavers Bend State Park, book your stay at this vacation rental and go kayaking and canoeing on Broken Bow Lake or spend the day hiking along the park’s nature trails. Afterwards, return to your home away from home at Firefly Ranch. Nightly rate is $160. While every effort has been made to ensure the accuracy of the pricing listed above, prices are subject to change without notice. Located 1.5 miles from Hwy 259.